First, the fights were about the drinking. The alcohol, paired with a few other common problems like lack of communication and money, began taking a toll on Keith’s marriage. To cope with the downward spiral of his relationship, Keith started drinking more. By the time Keith and his wife divorced, he was drinking every day to numb himself. The habit had become an addiction, which cost Keith his marriage, his home, and his job. Meeting Keith now, you would never imagine that he was ever unhappy. His positive demeanor lights up the room and he is eager to talk to everyone. Before Keith was referred to our services, however, he spent years out on the streets. It was there that he found himself feeling hopeless. Toward the end of his homelessness, he felt so desperate that he attempted to harm himself. That’s when he knew he needed help. After five years of homelessness, Keith was connected to the resources he needed to get better. It began with sobriety support. Keith reports that he drank one last beer and then never looked back. As of today, he’s been three years sober. Soon after joining AA, Keith found shelter at a temporary housing unit. After his stay there, a caseworker connected him with an opportunity to live at our Garfield Apartments. Since moving in, Keith has thrived. “I’ve got nothing to complain about. I love it here,” Keith states. Being a social butterfly, Keith always makes sure to attend all the group activities offered at Garfield. In fact, he even facilitates a few himself! Since Keith loves to cook, he can often be found in the community kitchen showing others different recipes. On Saturdays he hosts a breakfast, where staff and residents alike are welcomed to come and make a feast of waffles, bacon and eggs. And while Keith greatly appreciates all the activities and services offered to him at Garfield, he is excited to move forward with other more personal goals for himself. He laughs that he needs to get into better shape, and he becomes serious when he mentions he is looking hard for a job. Growing up, Robert was as far from a city dweller as you can get. He spent his childhood in Pacific, Missouri, and moved on to Kansas for high school where he spent his time working on farms and helping around the house. After graduating with his diploma, he moved to Nebraska and began attending college to achieve his Associates Degree, while simultaneously working on getting a Technical Degree from a local trade school. That’s when he was injured. “I think that trying to get both degrees while also sustaining this brain injury was just too much,” Robert says. Robert was severely injured in an accident while working on one of the farms in Nebraska. The trauma forced him to drop out of school and seek support. He ended up moving back to Missouri, where he couch surfed with friends and family until his boss at a local Domino’s offered to let him stay in their spare bedroom. But one day, Robert came home from work to find all his belongings out on the street. The family had been evicted without his knowledge. He had no friends to stay with long term, and his step-dad told him he was unable to help him. Unsure of what to do, and still learning to cope with his traumatic brain injury, Robert decided that his only option left was to take his life. Before he had the opportunity, he called his boss and announced his plan. His boss went and picked Robert up and drove him to St. Louis’ BJC to be treated and evaluated. While there, a caseworker was assigned to him, who arranged a reserved bed at our Soulard Shelter. “It was quite the shock,” Robert laughs, mentioning he’d never thought he’d be living in the city before. Robert worked hard while in the shelter. Even when he was temporarily without a phone, Robert walked around to businesses in Soulard and knocked on doors to ask if they were hiring. In the midst of his job search, he donated plasma to help begin his savings. He eventually secured a job with Bridge Bread, a social enterprise designed to provide job opportunities for people experiencing homelessness, and began to earn a steady income. After a three month stay at our Soulard Shelter, Robert was asked to take a ride with his caseworker. Rather than drive him back to the shelter, like Robert expected, he was instead dropped off at an apartment complex. His caseworker had been able to secure him a spot in a supportive housing complex. Robert loves his new apartment and is happy at his job. With a supportive boss at Bridge Bread, the right medication, and a roof over his head, Robert has been able to finally relax and begin tackling his challenges. He says that first he is going to prioritize his savings by paying rent and legal fees. And then? He wants to start furnishing his new apartment. There are no words to express how grateful I am for all that you have done to help me. I am better now, thanks to your hard work in seeing me through this chapter of my life. I cannot begin to tell you how lost I felt when my wife and I were separated due to Visa issues. She had to go back to her country and I wanted to go with her but was unable due to unpaid legal fees. When I first met PPCS staff, they did everything they could for me to be stable. I had spent months couch surfing and was headed to the streets. My wife had taken care of me for many years and I had grown accustomed to that. Once she was gone, there was a huge void left within me. Rather than try and sort out my Visa, I instead let my drinking escalate, and I sank into a deep depression. After arriving at the Labre Center, I didn’t know what to expect. I didn’t realize I was there for treatment – in my mind there was nothing wrong, other than missing my wife. Unless there was a way that the program could reunite us, the only purpose for me being here was to have a roof over my head and a place to store my things. Little did I know that the program would offer me something so much more… a chance to address every area in my life and be a better man for my family. This program has shown me why I must care for myself, abide by my values, and be an accountable and responsible adult. They helped me sort out my finances so that I could learn how to pay back those legal fees. Now I have taken the correct steps to obtain my Visa and soon can be back with my wife. If there was one thing I can say that I learned, I would say that Labre “taught me how to take care of business”. I will never be able to repay you for all your support, other than keeping my life on track and helping others when I can. I will remember all for you for the rest of my life. Mental illness led to insobriety, and insobriety led to eviction: that is how Cliff ended up without a home. At his former apartment, Cliff was unable to properly care for himself or clean his living space, leading to complaints. Cliff was then referred to Labre, to learn how to better manage his mental illness. Learning these skills made it possible for Cliff to become sober, and since that turning point he completely turned his life around. 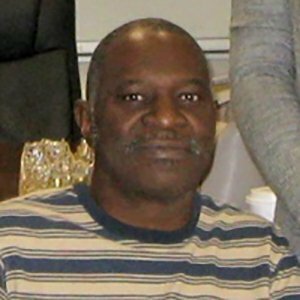 At Labre, Cliff learned how to maintain a clean-living environment, improved upon his social skills and how to handle stressful situations, and began to volunteer at Stray Rescue. Additionally, Cliff also joined the St. Louis Roadies, a Sport for Social Change Street Soccer Program, run by Peter & Paul Community Services. His skills on the field and self-improvement off of the field even earned him a trip to Oslo, Norway where he represented the U.S.A. in the annual Homeless World Cup. Cliff continues to attend practices for the Roadies, but has since moved out of Labre and into his own apartment. Equipped with the skills he learned at PPCS, he is both ready and happy to be living independently once again. Now 57, *Abby looks back over her 23 years of homelessness and addiction and can’t believe she’s still alive. During those 23 years she was addicted to crack cocaine, homeless and had two daughters. She had also been diagnosed with Bipolar Disorder and found out she was HIV+. Abby cared for her two daughters as best as she could while moving in and out of apartments and shelters, living with boyfriends and family members and spending most of her time trying to find her next hit of crack. When she moved into Garfield Apartments, Abby realized it was a special opportunity to get sober and she began taking her psychiatric medications regularly, attending sobriety support meetings and meeting with the substance abuse counselor. However, she still struggled to get past the early stages of recovery and Garfield staff connected her to detox services and then helped her get into an in-patient treatment center. Once her in-patient treatment was completed she began attending daily out-patient meetings. Garfield staff provided daily emotional support and encouragement while she struggled to stay sober. Having her own apartment allowed her to have her daughters, now grown and with kids of their own, to visit any time they liked. Abby finds comfort in spending time with her daughters and granddaughters despite her feelings of guilt and shame over the life she gave them while they were growing up. Over a recent summer, Abby attended a series of financial education workshops at Garfield where she learned about impulse purchases and saving money and has since opened a bank account to save for a car. Abby told staff she has never, ever had a savings account and has never before had money that lasted more than a week prior to moving into Garfield Apartments. Abby stayed sober for five months before she relapsed late last year. She entered in-patient treatment again and continued with out-patient care afterwards. Currently, she has been sober six months and meets with staff daily to maintain her sobriety. Abby said her hope is to finally end her drug use so she has many years left as a sober mother and grandmother. Marcus enjoyed an independent life. He lived alone, grocery shopped for himself, and even attended college. During this time, however, he began to struggle due to an undiagnosed mental illness. As his condition worsened, he had to drop out of college, was unable to take care of himself, and began to depend on others for help. Seeking an answer, Marcus went to a care facility, and in March of 2016 came to PPCS’ Labre Center, where we serve those with mental illness. Marcus connected well with staff and clients at Labre, and had a keen interest to learn. 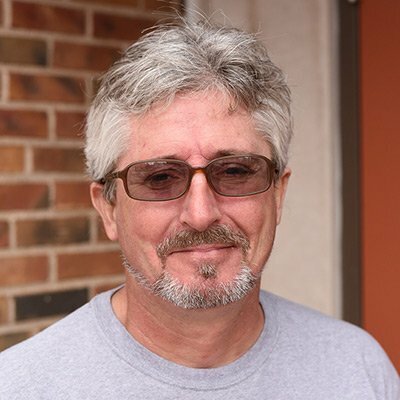 The Labre team helped him find new skills to better manage the stress from his mental illness, and this in turn led him to find the drive to become independent again. Marcus has improved his basic life skills, such as cooking and cleaning, learned how to utilize the Metro system, and is again attending college at Forest Park Community College. Marcus has also begun to take drum lessons, an activity he has always enjoyed. Thanks to Labre, Marcus now leads an independent life once again. Under a bridge, on a bench, in an alley – Brian can remember a few of the spots where he would frequently sleep while homeless. After several months outside and in the cold, Brian finally decided to call a hotline to find a shelter. He was referred to Peter & Paul Community Services and became a client at our Soulard Shelter. A warm bed to sleep in and a space to fill out paperwork provided Brian the opportunity to begin applying for assistance. He completed three 90 day stays before he received monetary aid, which then allowed him to get back on his feet. With the help of our shelter and some strong steps towards independence, Brian now rents his own apartment and has begun to enjoy simple activities that most of us might take for granted, such as preparing a meal or watching a television show. He also has begun to sculpt again, something he loved to do when he was young, and has started to sell some of his artwork. What really makes Brian stand out though is his desire to give back. After completing our program and getting settled into his own place, Brian came back to the shelter to volunteer. He assists in any way possible, sometimes handing out toiletries, other times serving meals, and often counseling the guys who come in. Brian does this every week and states “it feels good to give back”. Struggling with both mental illness and substance abuse, Shaun found it hard living in different shelter settings that did not fit his specific needs. The stress of these locations made it hard for Shaun to improve his living skills, and ultimately did not provide him the proper knowledge to be independent. 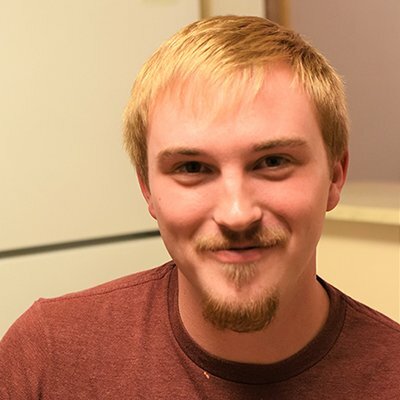 Before coming to Labre, Shaun had no experience in caring for himself, and found tasks such as cleaning, cooking, and grocery shopping to be daunting. Shaun’s experience isn’t that different from others, and not everyone is best served by emergency shelters. 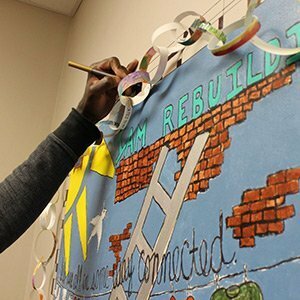 That is why PPCS offers tailored transitional and supportive housing options, like Labre Center, to those in need. When taken in by the Labre Center staff, Shaun was finally in a setting where he felt comfortable opening-up. He joined Labre’s support groups who help clients with building life skills . Labre offers intensive and hands-on approaches to helping our clients manage their mental illness, which provides individuals like Shaun the opportunity to flourish. Shaun now maintains a clean room, does his own dishes, and helps in keeping the dining hall clean. Shaun has also learned how to prepare a variety of meals and now knows how to follow a recipe. Shaun has made great progress in keeping sober, taking care of himself, and has even started volunteering. After completing Labre’s program, Shaun moved into Garfield, PPCS’ Permanent Supportive Housing Program. His next goal is to seek employment and continue to make progress on maintaining a healthy eating plan. With PPCS’ help, he is confident he can make this happen.